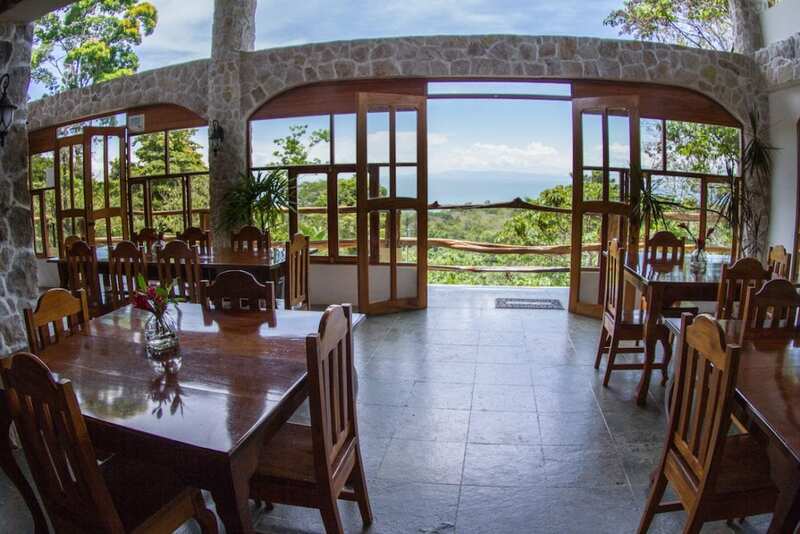 This Costa Rica Hotel / Private Estate sits on 10± titled acres of land with stunning ocean views in the southern pacific zone of Costa Rica, and it’s the only hotel in the south that holds all 3 commercial licensees – liquor, hotel and restaurant. Located in Pavones, an attractive and popular vacation, surfing and water sports destination, the hotel consists of: 4 private, rentable, ocean-view suites up to 1,200sq ft, with private balconies, and large 4 bedroom villa. The hotel with the restaurant and bar offers 5 star amenities in a 5 star location. An Albert Burney representative will be available daily from TBA thru auction Day between 10:00 AM to 3:00 PM. For more information call (800) 434-1654. The auction will be held at Castillo de Pavones. This event will be a live auction at the property and for those who cannot make the event, internet bidding will be available. Call for details. Ten percent (10%) down Auction Day with closing on for before November 21st, 2017. Certified funds in the amount of $50,000.00 will be required to bid. All funds will need to be wired to Albert Burney 48 hours before the scheduled auction date in order to bid. Funds will be wired back to the unsuccessful bidders within 48 business hours after the auction. Castillo de Pavones (or Castle of Pavones) is a beautiful Resort-style Bed & Breakfast / Private Estate in Pavones – a small community located along the southern Pacific Coast, well-known for its world-class surfing. Pavones features the second longest waves in the world. This property offers the best of both worlds. Nestled in the rainforest, the resort’s large panoramic windows offer astounding views of the lush rainforest with its diverse wildlife and mountains, as well as the Pacific Ocean. 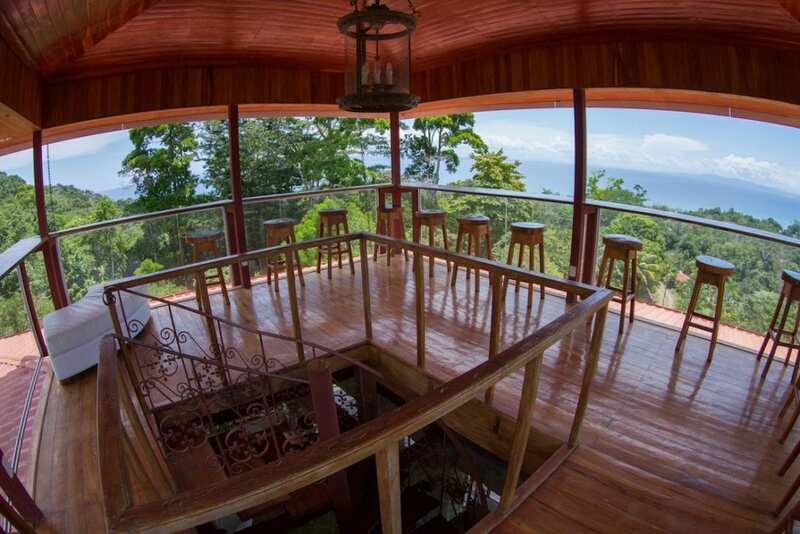 This property sits on 10± titled acres of land with stunning Ocean Views in the Southern Pacific Zone of Costa Rica. And a concession along the Rio Claro River. It’s the only hotel in the south that holds all 3 commercial licenses: liquor, hotel and restaurant. Here, you can enjoy fantastic ocean views and your 2-person jacuzzi tub and king size orthopedic bed. Enjoy our glass-enclosed restaurant and lounge, offering world-class cuisine. A five-minute walk down the hill brings you to the ocean, river, and directly in front of the beginning of the longest left break wave in the world. A ten-minute walk brings you to the center of town. It’s easy to book your boat trip to Matapalo for surfing, fishing or snorkeling. Horseback riding, private guided hikes and canopy tours can also be arranged. Walk to the river, or just relax all day at the Castillo, wandering from window to window, taking in the breathtaking 360 degree views third floor restaurant and bar. 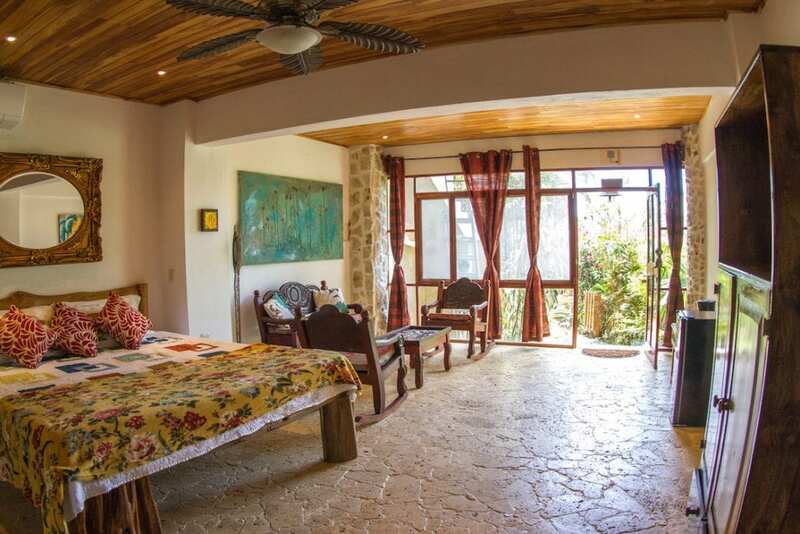 This beautiful Bed & Breakfast consists of 4 private Ocean-View suites ranging from 800 sq. ft. to 1,200 sq. ft. in size, each with a private balcony and a 9,000± sq ft villa. The Mezzanine Suite: 1,200± sq. ft. Ocean-view suite. Two floors with refrigerator, Kind bed with orthopedic mattress. Sleeps 6. Satellite TV, AC, ocean-view hot tub, living and dining area. Large balcony. Large stone bathroom. The Dungeon Suite: 800± sq. ft. Ocean-view suite with refrigerator, King bed with orthopedic mattress. Sleeps 4, satellite TV, AC, ocean-view hot tub, living & dining area, private balcony. Large all –stone bathroom. The Calle Suite: 800± sq. ft. Ocean-view suite with refrigerator, King bed and with orthopedic mattress. Sleeps 4, satellite TV, AC, ocean-view hot tub, living & dining area, private balcony. Large all –stone bathroom. 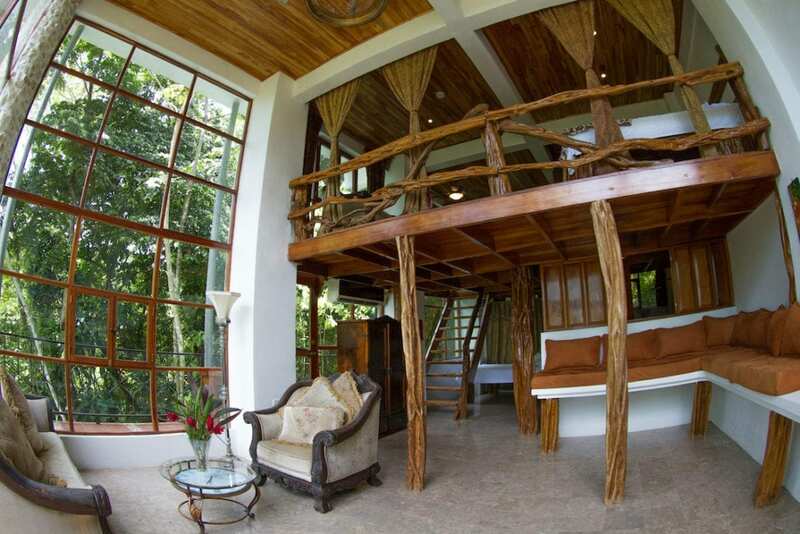 The Jungle Suite: 800± sq. ft. Ocean-view suite with refrigerator, King bed with orthopedic mattresses for your comfort. Sleeps 4, satellite TV, AC, ocean-view hot tub, living & dining area, private balcony with outside bar. Large all –stone bathroom. There is also an additional 9,000± sq ft Villa – Villa con Vistas is as unique as you can get with Ocean views, and the jungle as your back yard. 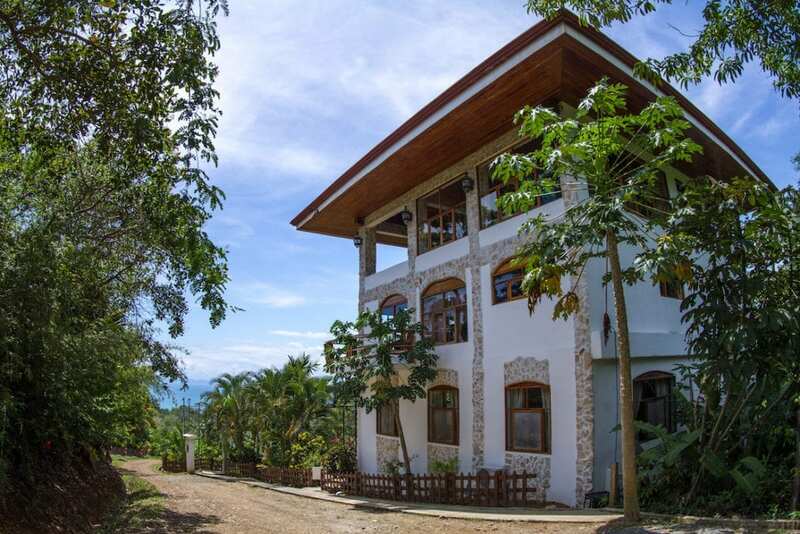 The Villa has 4 bedrooms, 4 bathrooms, 2 living rooms, 1 very large kitchen, multiple balconies/decks, wifi, parking, AC in the bedrooms, and hot water throughout. It sleeps 10 comfortably with a max of 12 people. This Villa would be the ideal owner / operator suite or main house for the family retreat / estate. This is a great opportunity to run you own boutique hotel and restaurant or have the perfect family retreat. Situated in Pavones, a well known surf destination. The National Geographic Society identified the South Pacific of Costa Rica as “the most biologically intense place on earth.” Has a brand new $300,000.00 restaurant and kitchen, new teak ceilings in all rooms, new outdoor balcony and kitchen in the Mezzanine Suite, and gorgeous pool is in progress. This is the perfect estate for someone that wants Ocean, River and Bay at their door step. You will be blown away with the unique ocean view home or resort overlooking the world’s longest left wave! Fly, drive or boat into Pavones, click here for more information about getting to Pavones. This turn-key property will sell furnished and ready to operate from day one. Can’t make it the auction? Online bidding will be available. Call for details. DISCLAIMER: All information is taken from sources believed reliable; however, no guarantee is made by the Auction Company, Broker, or Seller. The seller has the right to withdraw the property, delay or cancel the auction, or sell the property prior to auction. Buyers should satisfy themselves as to any inspections prior to bidding. Any announcements made the day of the auction supersede all advertising. All measurements, boundaries, & square footage have been received by 3rd party resources.